A damaged roof is not a fun problem to deal with. As a homeowner, you probably don’t think about your roof until something with your roof goes wrong. A storm may pass through and damage your shingles. A torrential downpour may reveal a water leak through your roof. No matter the cause of the roof damage, it needs to get repaired. 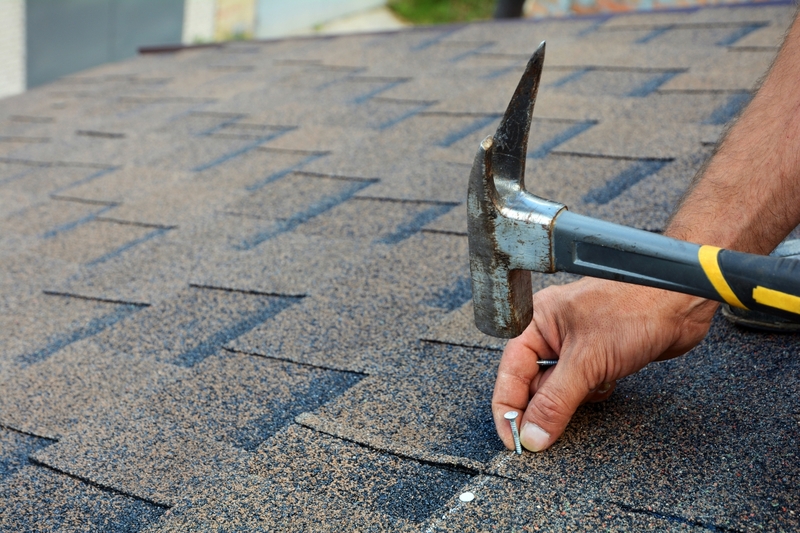 As a handy homeowner, you may be able to repair your own roof. While the experts at Texas Star Roofing believe that you should always call a professional, we understand if you want to give it a go on your own. That’s why we want to share some tips on how to DIY your roof repairs. Remember, safety is the priority when working on your home, whether that be the outdoor hose spicket or the shingles on your roof. If you’re not sure how to use the tools necessary to access and repair your roof, then give us a call today. Before you get started on your roof repair, you need to know that there are multiple types of roofs and roofing types. Without this knowledge, you may go up to fix your roof and find out that you aren’t able to. In other situations, knowing which roof and type you have can save you time and money. 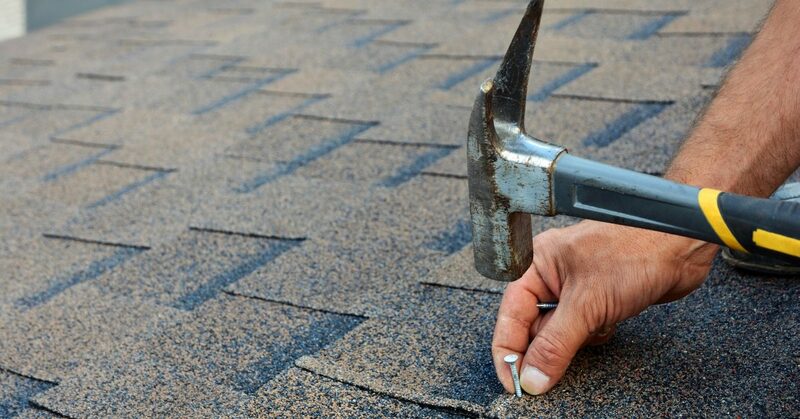 Shingle Replacement — If you have a few missing or damaged shingles, you will need to replace them. It may be possible that you can replace those few shingles. However, you may need to replace an entire section of a roof, too. Depending on the amount and extent of the damage, you will need to determine what needs to be done. What’s more, you will need to purchase roof shingles that match your current roof. Without a professional, you may have a hard time finding the material that fits your roof color and style. Partial Roof Replacement — Whether you’re looking to remove and replace an area of your roof or simply add new shingles over the old ones, a partial roof replacement may be necessary. It’s important to know that replacing shingles can give you a better hold between the new shingles and your paper. If you add new shingles on top of old shingles, you will want to make sure your old shingles can accept the new ones. If you have two or more layers already installed, you will need to remove what already exists. Complete Roof Replacement — If your roof is old or simply needs an entirely new roof, the process is different than a partial replacement. You need to remove your current roof, lay new paper, and install the shingles. A complete roof replacement can be time and labor intensive, even if an entire crew or roofers do it. Rubber-soled shoes do two things for you. The first is that they protect your feet, and the second is that they give you great traction. As expected, gloves protect your hands. Whether you’re in pants or jeans, a pair of knee pads can help save your knees from the hard, granular nature of your roofing material. If you’re replacing shingles, knee pads can protect your knees from protruding nails. As you search for your roof, look for loose or broken shingles. These shingles will either be cracked or missing from your roof. In either case, these need to be replaced as soon as possible. You may find that some of your roofing shingles are bent or curved but not broken. In most cases, you can adhere these bent or curved shingles back to the roof without having to replace them. While this isn’t the ideal roof repair, it is an option to keep your home protected before a professional roofer gets out to inspect it. Flashing is meant to “finish” your roof. When shingles end at features like a chimney, a vent, or otherwise, you will need flashing to seal it from the rain. The joints in flashing are common areas where leaks can happen. Use caulking to fill these joints and keep them from allowing water through your roof. Whether you need roof repair services or not, it’s best to have a roofing company on call that you trust. For most, biannual roofing inspections are what save homeowners from having to pay huge costs to repair their roof from preventable damage. Find a roofing company in your area and have their number on hand before you need them. When you choose Texas Star Roofing as your professional home roofer, you will get a free roof inspection, our insurance negotiation expertise, written estimates, and so much more. Since 1997, we’ve been providing roofing services to homeowners in the Dallas area. Do you need a roofer? Call us today!